May is one of the favorite months of the counselors in my building because we get to spend the first three weeks proctoring AP Exams. Let me tell you there is nothing more rewarding than sitting in a room and announcing, you have ten minutes remaining on section 1 (apply liberal amounts of sarcasm here). 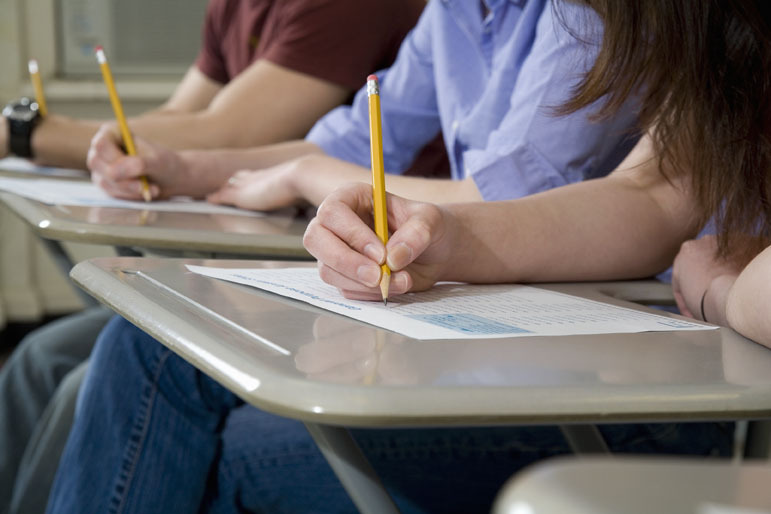 While proctoring the exams may not be our favorite thing to do, or in the top 100, it does serve a valuable purpose: to allow our students the opportunity to earn college credit for college level understanding. I am fortunate enough to work in a school of extremely hardworking students with teachers who are equally as passionate about the students they are leading as the content they teach. Each year our students take over 1,000 AP exams across thirty-one subject areas.And yet our enrollment in AP courses is significantly higher than 1,000 seats, its actually almost double that number. This discrepancy begs the question, why don’t more AP students take the AP exams? Let’s start by saying, taking the AP exam is not the only reason a student chooses to enroll in an AP class. AP classes are weighted and can provide a boost to GPA. AP classes are rigorous and colleges are demanding rigor. AP classes allow students to explore topics and a higher and more in depth level. Students may just have a genuine interest in an area and are pursuing knowledge for knowledge sake. However, none of these reasons would preclude a student from also taking the AP exam. So what stops them? Why take the AP exam? The main reason we give to students is that taking an AP exam allows you to earn college credit while still in high school. This allows you to save money on college tuition, graduate college faster or have more room for electives. How much money can you save? In state tuition at Illinois State University is $349 per credit hour (community college lower, private schools higher, so we’ll stick with $349 as an average). On the low end, AP courses are worth 3.0 credit hours, some worth as many as 6.0 credit hours, but let’s stick with 3.0 credits. If students took all 1,800 exams they were eligible to take at my school the potential college tuition savings would be $1,884,600. And that’s just at one school, think of that multiplied across the hundreds of high schools in Illinois. Nearly two million dollars in savings? But the actual dollar amount doesn’t come close to that because not everyone takes advantage of the AP exams and therefore AP credit. Some students may not feel prepared for the exam and choose not to sign up. That is on us as teachers to solve. What I find unacceptable are the students who sign up for the exam, earn a passing score (3+) and still do not receive their AP credit because their college chooses not to accept their test or score. When this happens enough, other students will simply choose not to take the exam because there is no guarantee their score will do anything for them. This practice needs to change and we as educators and student advocates need to lead the charge. So what can we do? I’m glad you ask. Illinois legislators are currently debating a bill that would mandate all public universities in the state adhere to an AP Equity standard. House Bill 3428 would guarantee that students who receive a 3 or higher on an AP exam would receive college credit for their work. Passage of this bill would send a strong message to our students and families about the importance of pursuing academic rigor and the reward that comes along with that pursuit. 1. Complete the ILGA Subject Matter Witness slip for HB3428. 2. Fill out your information including school name/affiliation. Select PROPONENT and RECORD OF APPEARANCE ONLY to simply indicate your support without having to write any statement. That’s all you have to do. Fill out a simple form that takes less than five minutes. IT will probably only take you two minutes. Once that it done you can further support the cause by sharing this post and encouraging your friends and family to do the same thing. If you are an educator, share this information with colleagues, students and parents. Do so by May 12th, because that is when the house bill moves to discussion in the senate. Our students need your help. Show them that pursuing rigor has value. This could be the catalyst to inspire a new generation of students to pursue AP and the rewards that come alongside an academically rigorous schedule.